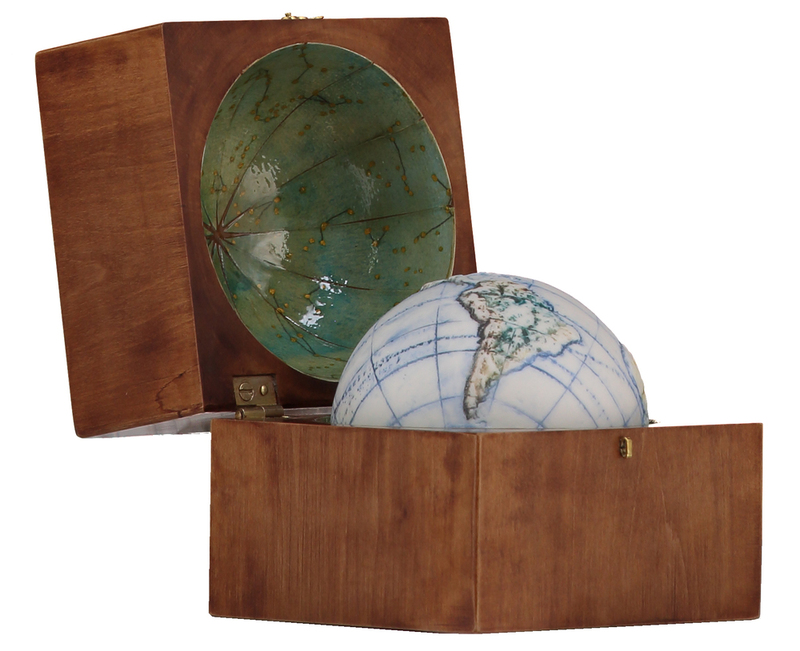 Inspired by the oldest English globe made by Emery Molyneux 1592. The vastness of the planet oceans are mapped by longitude and latitude in place of the ships and sea monsters of the original. 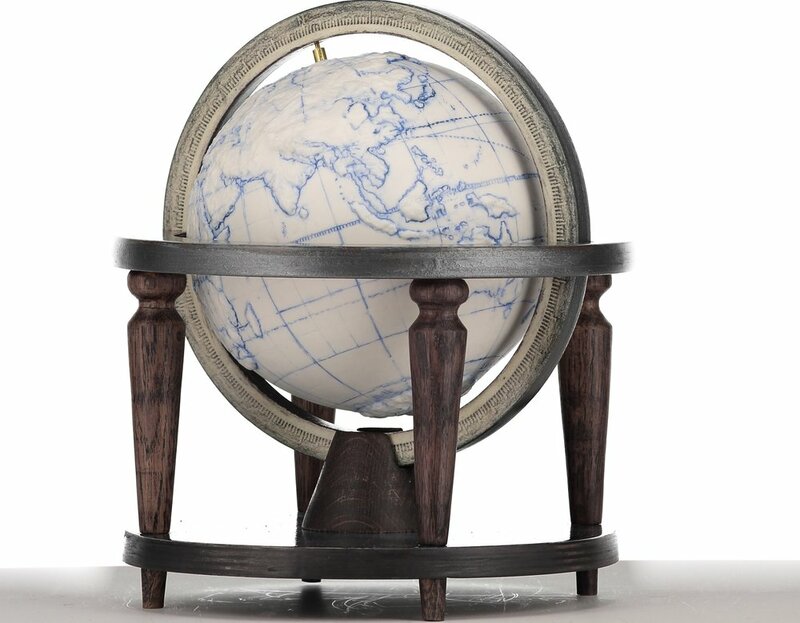 The turned oak and marine ply frame alludes to the ancient ships that mapped the planet centuries ago, and depicts a map of the observation and communication satellites that facilitate contemporary mapping.